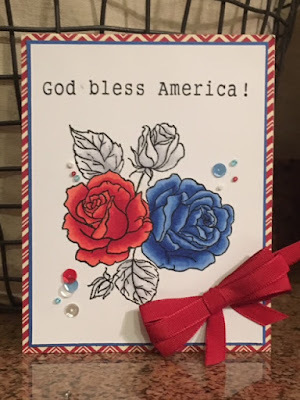 Hello, Beverly Jordan here for a Patriotic Card to celebrate Independence Day here on the Kennedy Grace Blog. 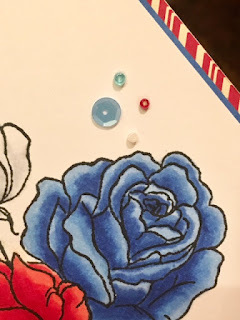 I am using the Kennedy Grace Splendid Roses stamp set because it seemed the perfect way to use the red, white and blue for a totally Patriotic themed card. I loved that the sequin lot is For Our Hero's which is a fabulous mix of sequins in red, white, blue, and silver (best seen in the last picture), and added beads in different sizes as well (best seen in the 3rd picture). How fun and so perfect!! 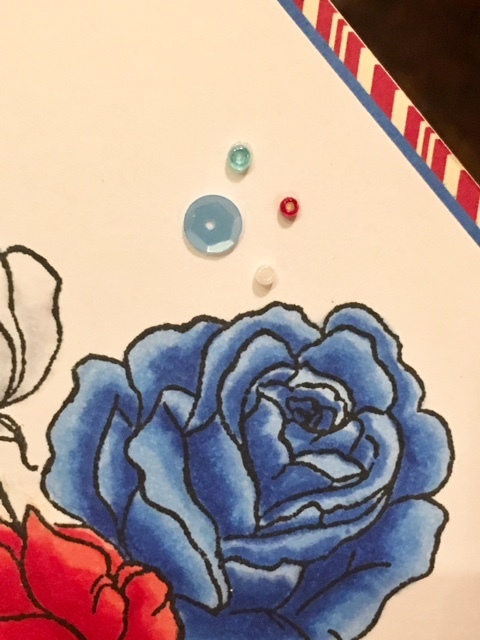 The vibrant colors I chose are Copic Sketch Markers in: R22, R27, R29, B18, B21, B24, C1, C3, 0, and a Multiliner 0.3. 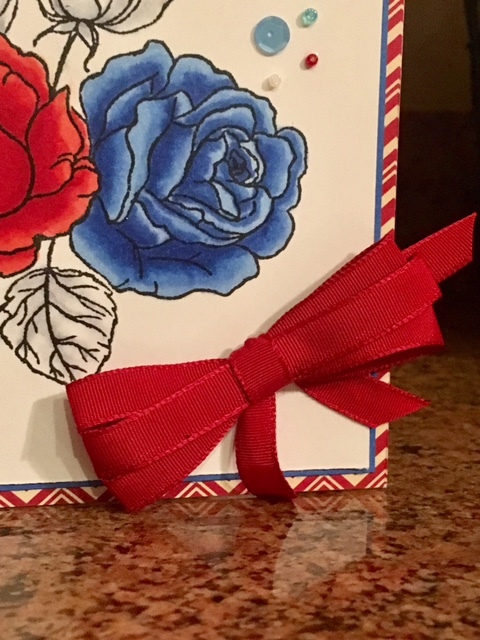 The papers were Recollections blue cardstock, and Jillibean Soup Staples II in Red Salt which is a chevron pattern on one side and red with dots on the other. I chose the chevron! The stamp "God Bless America! is by Motivet Rubber Stamps, CM 052 F. The ribbon is just one of the many from my huge stash, triple tied and added with Scrapbook Adhesives throughout my project. I hope you are enjoying your July 4th with your family and friends and take time out to thank our Military Veterans who make it all possible!! Happy Independence Day, America!! 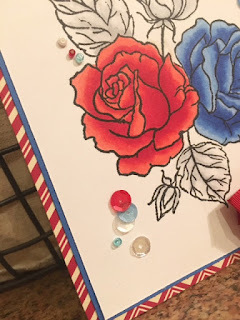 My blog is HERE, if you would like to follow me or see more of my work.